It's fitting that we’ve found 28 free non-profit webinars for the 28 days of February! So this month you can stay inside, avoid the Polar Vortex, and take in some insightful webinars. The list includes topics such as: Your Fundraising Journey; Intro to Google Grants; Asking Styles; Social Media and Volunteer Engagement; and much more. What's your fundraising journey? Where have you come from? And where are you going? Join the conversation in this Wild Woman Fundraising webinar and get some support and advice. And we'll learn about fundraising resources! Google Grants gives eligible nonprofits $10,000 per month in free online advertising to promote their organizations and causes on Google.com. During this CharityHowTo webinar Simon Choy, who currently manages over $2 million in annual Google Grants funding, will tell you everything you need to know about the program, how it can benefit your nonprofit, and the process of applying for the grant. He will also highlight what is required to succeed when using Google Grants and tell you about a paid service that will get you more than your money's worth. Do you have a plan for 2014 to attract and engage your community? In this age of information overload, it's more important than ever that the content you produce and share be relevant, appealing, and strategic. Join author and content marketing strategist Kivi Leroux Miller for this lively Network For Good webinar on how to keep up in the rapidly evolving world of nonprofit marketing and fundraising. See real world examples of nonprofits of all cause and sizes using successful content marketing strategies and take away actionable tips that you can put in place immediately for maximum impact this year! Volunteer engagement is changing. What do you need to know about social media as a volunteer program manager? How can you use social media to promote your volunteer opportunities and recruit volunteers? This VolunteerMatch webinar will offer an introduction to including social media in your volunteer recruitment and retention plans. You'll see examples of Twitter, Facebook and YouTube pages, as well as blogs that other nonprofits have successfully used to draw attention to their organizations and volunteer opportunities. This VolunteerMatch webinar will start with the basics of what should be included in a position description and will help you create or update position descriptions for all of your volunteer opportunities. Sometimes it can be difficult to identify when you're facing an ethical dilemma in your work with volunteers. Using volunteer management scenarios and a conversational format, this VolunteerMatch webinar will cover some of the dilemmas you face when you engage and manage volunteers and provide ideas on how to resolve these situations effectively and ethically. This is the first in a 3-part series of webinars from Smart Cause Digital - The School of Nonprofit Website Excellence. Have you ever felt overwhelmed by everything there is to know about nonprofit websites? Have you ever wished there was a step-by-step guide to help you make the most of your nonprofit website? The School of Nonprofit Website Excellence is here to help you take the reins of your website. Say goodbye to website overwhelm. Bid farewell to website frustration. Over the course of three weeks, you will learn specific strategies and steps that you can take to build a better nonprofit website. This is the second in a 3-part series of webinars from Smart Cause Digital - The School of Nonprofit Website Excellence. Donors want to pay for programs. Most donors do not want to pay for everything you need behind the scenes to make sure money raised is responsibly spent to advance the organization's mission. How then do you raise money for administrative staff, office rent, insurance, computers, software, furniture and the like? The US government, many local governments, and some foundations allow you to apply an indirect cost rate to your program expenses as a mechanism for the donor to fund infrastructure. In this 4Good Nonprofit webinar, you will learn what an indirect cost rate is and how to use it to pay for essential non-program expenses. Please note: prior attendance at Basics is strongly recommended. Your volunteer engagement program can be measured by more than just the hours a volunteer gives your organization. What other kinds of information should you keep track of, and how do you know if you're doing a good job with your volunteer engagement program? This VolunteerMatch webinar will help you think through both the quantitative and qualitative information you can use to evaluate your program. What are the criteria for success for your volunteer program? How can you work with others to create a culture of measurement for volunteer engagement? This is the third in a 3-part series of webinars from Smart Cause Digital - The School of Nonprofit Website Excellence. Unless you’ve been hiding under that proverbial rock, you know that program evaluation and accountability have been hot topics in the nonprofit sector for quite a while. Funders want to know what’s working, what’s not, how we may or may not be accomplishing our mission, what needs are going unmet, and how we might make improvements in the future. Evaluation can also be great for strategic planning purposes. It will tell you where you’ve been the most successful, where the challenge areas are, and where to go from here. Evaluation helps your clients reflect on their experiences and share their thoughts. There are many ways of doing both qualitative and quantitative evaluations. But regardless of how you actually go about the process, you will need to start by writing about your evaluation system and tools in your grant proposal, and using them in your grant report(s). How can you do that? 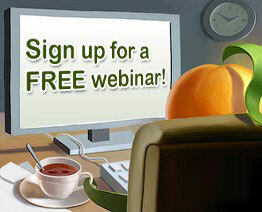 If your organization offers a free webinar that would be of interest to non-profit, membership or volunteer-based organizations and you want to include it in next month's post, please email a brief overview (like those above) to lori@wildapricot.com no later than February 17th. The Nonprofit Hub has a webinar coming up this month with Bloomerang CEO Jay Love. We'll be talking about what every fundraiser can do to reverse the trend of plummeting donor retention. 7 out of 10 donors only donate to a nonprofit once, and 77 percent of donors leave due to lack of communication from a nonprofit. We'll talk about challenging your organization to strengthen donor loyalty and how fundraising can help you do that. Lyndsey - thanks for sharing details of your webinar. If you have any other free non-profit webinars coming up in March, send me an email (prior to Feb. 17) and I'll add them to our March round-up.